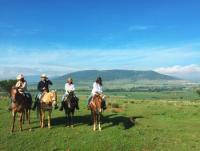 Our Riding-Vacations.info directory lists ranches that can be booked directly with the ranch owners/managers. We are not agents for the owners/managers and in order to book your ranch vacation please contact directly the advertisers who posted their listings with us. 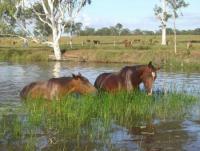 Simply-Being with Horses´...walking, riding them.. feeding, building a relationship. 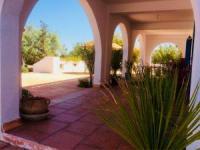 Rancho Las Cascadas Resort- Horseback Riding Vacations, Cultural Tours and Relaxation at it´s best. Horseback Riding, Cultural Tours and Relaxation all at one place. It can't get any better. Badger Creek Ranch - All inclusive American Western experience in the Rocky Mountains of Colorado! Badger Creek Ranch is a working cattle/guest ranch in the Colorado Rockies Mtns. Cowboyfeeling – A directory for ranch vacations in the USA, Canada.... Book your ranch vacations directly – western riding vacations from Alaska to Chile. Dude ranches, guest ranches, working ranches, cattle drives.